I would like to thank you for organising my recent golfing holiday. I had a great time and the courses you booked me onto were all 1st class. The accommodation was also to my liking. 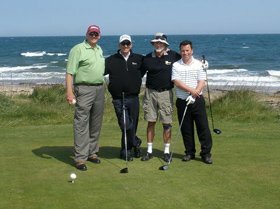 I will not hesitate in recommending you to anyone I know who might be considering a golfing holiday to Scotland. All emails to you were always answered promptly and I wish your business all the success it deserves in the future.